On today's episode of Dart Against Humanity, I discuss the 25th anniversary of Nas' classic debut album "Illmatic" and tomorrow is the 20th anniversary of MF DOOM's classic debut album "Operation: Doomsday". I've spent the past week writing pieces about both albums on Medium and I discuss both albums and their lasting legacy in the continuum of classic material. On Episode 42 of Dart Against Humanity, I discuss my recent visit to General Assembly to a Music & Data panel discussion, another trip to Bow Market to Vinyl Index & Union Sound, my thoughts on representation in regards to Boston, gatekeepers/tastemakers/influencer culture's affect on the digital music space, Record Store Day being tomorrow, the upcoming Boston Marathon on Patriot's Day (4.15) and I also run down my old work history in local record store within walking distance. Last night I went to the store opening event for Union Sound, an interactive storefront/boutique/studio for the Boston beat culture in Somerville's Bow Market next to 7L's (7L & Esoteric/CZARFACE) record store Vinyl Index. While there, some conversations and interactions I had made me realize that one of my childhood passions led me on a path I still follow well into middle age. This episode is dedicated to my undying obsession with music. Being a writer of a particular age, the way the pieces we write are consumed and scrutinized by the modern audience often makes us frustrated with the state of journalism as a whole. While in the process of transitioning into the next phase of my career and highlight the differences between being a Gen X writer who grew up reading older cats and listening to music on the radio and on vinyl or cassette before CD's and digital formats devoid of liner notes, album credits and print journalism that specialized in detailed longform analysis or critique. I even read some album and cassette album credits to further prove my point. On today's episode of Dart Against Humanity Dart discusses the challenges of trying to get above the noise and constantly having to sell yourself, art, ideas/concepts or culture as if it were a product/commodity to an audience to those who might not either respect it, value it or understand it so they see enough value in it to purchase it or enough potential profit in it to invest in it or sponsor it. Also Dart explores the moral compromises that come with having to frame, sell or market a culture to outsiders. On today's episode of Dart Against Humanity we discuss the transition from the Winter mindstate into Spring and how it changes your mood, the constant struggle that comes from being a writer/creative and how I can't just enjoy things without examining them on a cellular level. I explain why comparison is NOT the thief of joy, but a necessity/inevitability in my field. I also touch on the perils of being a serious person plus explain why I put so little effort into trying to be published. On today's episode of Dart Against Humanity, I discuss the new Marvel film "Captain Marvel" without any spoilers, discuss the unique challenge of being a journalist in the age of real time social media and how the entire space affects me when I try to pursue work/drum up interest in my pieces vs. how it affects athletes or artists and the odd dynamic between creatives and the media that cover them. Ultimately it boils down to how much the audience cares about the subject. If the audience no longer cares? The media won't want to cover them anymore. Question is, will the artist/creative/athlete truly be happy and no longer miserable when that interest or scrutiny stops? What happens when no one cares anymore? Dart Against Humanity returns for Season 3 after a 3 month hiatus. I discuss what I've been working on in the interim, why I haven't tried to turn this podcast into a "brand" yet. I answer the questions behind where the merch is, my thoughts on attempting to monetize the podcast and the philosophy behind my entire approach to what other people in this space refer to as "content creation". Enjoy... Or don't. It's still a free country. At least for now it is. On the last episode of Dart Against Humanity Season 2 I discuss what opportunities I'm going to be pursuing over this break to hopefully further my career. I talk about why I don't love Christmas music and my favorite Christmas memories. I also go down a list of my previous podcast appearances before Dart Against Humanity started up. I also explain that I've gotten the opportunity to monetize the podcast so there will be ads now. Thanks for rockin' with Dart Against Humanity and hopefully you'll return for Season 3 in 2019. On today's episode of Dart Against Humanity I discussed two recent incidents in which I critiqued two recent articles written in my space of Rap journalism where the young authors both had took them as personal attacks and couldn't get out of their own feelings or past their egos to learn from the incidents. Dart recorded an entire episode of Dart Against Humanity that was trash before this one so he simply deleted it & started all over again. He discusses the transitional period he's currently going through and how he's navigating it before talking about the 2nd season of Mike Judge's Tales From The Tour Bus which focuses on Funk. This leads Dart to talk about the highly influential Boston Funk scene and how history repeats itself even within the continuum of Black music. Dart Adams explains his struggles with being in his own head 24/7, how overthinking affects his creative process and how it makes him second guess everything. In addition, he also discusses the evolution of Madden Culture. On today's episode of Dart Against Humanity, Dart outlines his problems with the entire horror movie genre while offering a list of films that he actually does consider worthy of consideration over the old horror staples, standards and tropes while killing time before the Boston Red Sox' victory parade begins. On today's episode of Dart Against Humanity, I walk people through my contributions to the Greatest Rap Producer Alive Every Year list on Complex. I also give my take on the World Series with Game 3 happening tonight in Dodger Stadium, the Boston Celtics' offensive & defensive struggles, the concept of high art vs. waning Black support in terms of Black music throughout the years then I close out the episode by discussing my Medium piece about the 15th anniversary of Amy Winehouse's classic debut album "Frank". In today's Dart Against Humanity, I break down the happenings with Netflix cancelling recent Marvel series' and what they mean for the future with Disney's Play streaming platform tentatively set to launch in Fall 2019. I also bring up what bothers me about the lyricism in Rap question Rob Markman of Genius asked Styles P & Dave East in a recent interview then broke down why he asked the wrong question. Dart talks about his frustrations regarding Drake saying he studies Rap battles for a living and LeBron James claiming he's a Hip Hop historian on the latest episode of his HBO series "The Shop". He also talks about the upcoming NBA season premiere, ALCS Game 3 in Houston, Cuffing Season, his attempts to go viral marketing Cuffing Season themed beat tapes, his failed IP The Cuffington Post and a closing rant for the ages. In this episode Dart previews the Red Sox/Yankees ALDS that begins tonight, addresses the recent developments with Kyrie Irving then previews the upcoming 2018-19 NBA season while discussing how to manage expectations for the Boston Celtics. Other topics include an odd exchange with Carl Chery of Spotify on Twitter from which this episode got its name. On today's episode Dart discusses his latest articles running on Medium & Okayplayer, micro generations in Rap history, why they'll never be another Golden Era & the 20th anniversary of the last great Rap release date. Other topics include faulty Rap release dates, why there's no effort put into fact checking/research, the 25th anniversaries of "Return Of The Boom Bap" & "93 Til Infinity" and why I'm still in this space even after quitting Rap journalism multiple times in the past. On today's episode of Dart Against Humanity, I discuss the frustrations involved with trying to set everyone straight when they're dead set on being wrong in the space of Rap journalism, being annoyed by people projecting their expectations onto you, plus my excitement over the upcoming Red Sox postseason and Boston Celtics preseason. I also discuss my upcoming writing assignments and prioritizing paid gigs over...well, everything else. On today's episode of Dart Against Humanity I discuss deconstructing the idea of being an expert vs. being a purist, snob or an elitist which actually have negative connotations in my mind. They're often dismissive of things or close minded which, in turn, stunts your ability to learn and limits your opportunity for growth. I then discuss LL Cool J's Rap career, the phenomenon of the "tap out", why I fell out with Keith Nelson Jr. and more talk about the Red Sox. 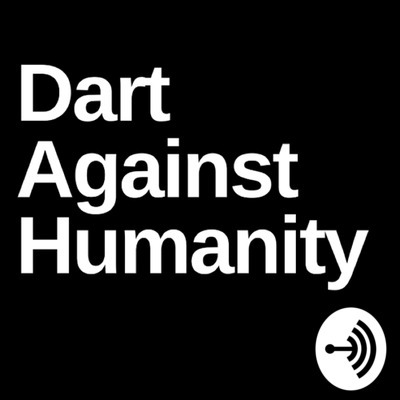 On today's episode of Dart Against Humanity I discussed the latest Twitter arguments re: "Ether" vs. "Takeover", telling me to "stick to my lane", "Iron Fist" Season 2 on Netflix, my thoughts on Mac Miller's passing, "Golgo 13: Top Secret Episode" and why I study things obsessively for hours rather than sleeping. On today's installment of Dart Against Humanity, I first recount my harrowing experience with Twitter trolls after tweeting about searching for Black Panther on Netflix, my reaction to the first part of BET's "The Bobby Brown Story", more frustrated Black Bostonian talk, thenI explore the whole Eminem debate raging after he released a surprise album and the subsequent backlash and my take on a subject I don't even care much about. On this latest episode of Dart Against Humanity, I discuss what I learned from the loss of my mother two years ago and how it changed my life going forward and how I cope with real time social media followed getting a verified Twitter account a year ago and the online harassment that ensued shortly afterwards. I also touch on how to navigate having an online presence in the era of Cancel Culture. On today’s episode Dart discusses his love of Boston sports, the frustrations involved with being a Black Bostonian, the recent Twitter controversies over the meaning of the word “freestyle”, Rap’s obsession with sales numbers & chart position then the Eagles surpassing Michael Jackson’s “Thriller” in sales. 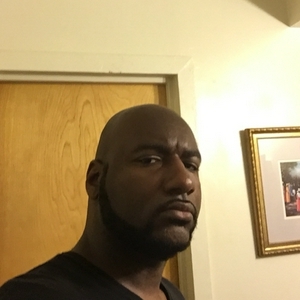 Today on Dart Against Humanity, Dart Adams rants about people not being aware of the Lauryn Hill lawsuit over the writing/arrangement/production credits for “The Miseducation Of Lauryn Hill” then the conversation turns to all-time great Rap Summer albums & why Rap is considered seasonal whereas R&B isn’t. Dart is fed up with people spreading false information on social media about classic film and album release dates so he dispels the myths by providing context with evidence. This concludes Season 1 of Dart Against Humanity. See you all again for Season 2! Dart Adams is totally incensed at the latest episode of HipHopDX’s The Breakdown where MURS alleges there hasn’t been a classic Rap album released in a decade so he breaks down why MURS’ argument is pure trash. In this episode of Dart Against Humanity Dart Adams discusses the true meaning & dangers of being a creative or work for hire/freelancer in this day & age. You wanted the real? You got it. Dart hasn’t slept since the Celtics were eliminated from the ECF last night so he recorded an episode about adapting source materials like novels (namely “Fahrenheit 451”) & comic book properties (namely “Deadpool”) then there was more ranting about journalism at the end. Ep. 8 coming later this week! Dart recalls the days when he was exposed to a gang of different music via the radio in the 1980’s and how Black radio played White artists. Also Dart discusses the role cable TV played in music discovery in the early to mid 90’s once the radio became segregated again. This is Dart’s first episode of his podcast Dart Against Humanity. There’s no designated time or date it gets posted. There’s no format. No guests. No pre-assigned subject. No piggybacking off whatever subject is hot in pop culture. It’s Dart Adams unfiltered for however long he feels like speaking. Tonight, he runs through a list of old subjects he was going to discuss when his old podcast “Flash Drives & Aux Cords” was about to go live. Enjoy... Or don’t. Dart’s gonna do & say what he wants regardless.